Feather & Down have some dream products in their range. I sleep often, nana naps are a must and generally, I have a good night's sleep. I am, however, a believer in a relaxing bedtime routine, also I had a rather stressful 2016 which continued into 2017, I've found there is nothing better than having sleep inducing scented products, that help you into the land of nod. Dream a little dream of me, Feather and Down launched in May this year, this Made In England brand have something for the trouble sleepers to the easy sleepers, like me, who just love relaxing before bed and have quite an addiction to sleeping inducing products. All products aim to encourage relaxation and a state of well being to help aid a good sleep. This range of high performing lavender and chamomile blends relax and help the body and mind unwind, this encourages a more relaxed feeling for bedtime and ultimately a good and restful nights sleep. As an anxious person, I find the blend of these products eases the tension I often carry and eases the worry I inflict on myself. 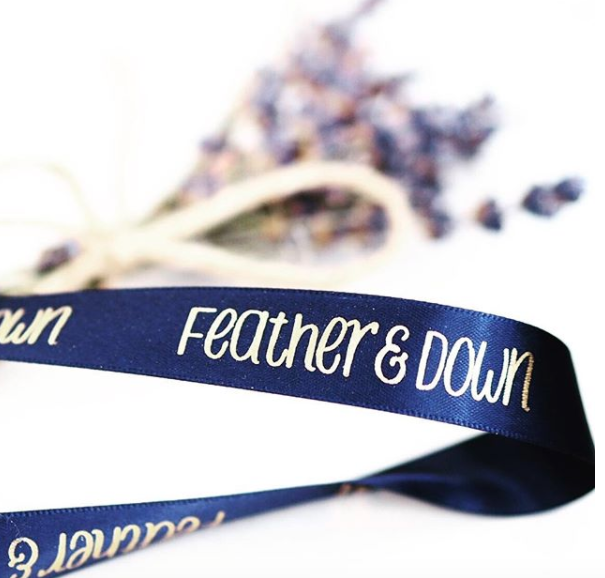 Feather & Down Sweet Dreams Pillow Spray - infused with lavender and chamomile this spray envelops my pillow, my head lands into a field of swaying lavender, I take a deep breath and sleep is never far away. This spray just helps to settle my mind, I have also found that my Bruxism (teeth grinding) has lessened greatly and I feel better on waking. The scent is more French Lavender it has gravitas, a depth that you can fall into and just sleep a great sleep. The Melting Shower Cream is a massive 250 ml tube of 'ready for bed' shower lusciousness. This skin cleansing lavender and chamomile concoction erases the day, washes away all those niggles that often linger in my head. This also makes me feel like I did as a child, the Christmas dressing gown saga, a new dressing gown from Father Christmas had me bathed and buttoned to the neck by turkey sandwiches for tea time. This makes me want to snuggle into my favourite pj's without a care in the world and just drift away to dreams of roller skates, Sindy dolls (I never liked Barbie, I was always suspicious of her intentions) and pink slippers with 'pretend' fur or fluff as I called it. A little of this shower cream goes a long way, and I adore the lingering lavender scent in my bathroom. Sweet Dreams can be yours, with the Soothing Body Oil, firstly I love any oils and find they hydrate, leave my skin looking and feeling good. Used alone this can be sprayed onto skin and massaged in, I would suggest that if you apply this as part of your morning routine let it absorb fully or you may have oily patches on your clothing. I only use this as part of my evening routine and although it is rather fabulous used alone, in conjunction with the shower cream, well, if you're not asleep, or even relaxed after this lavender/chamomile double whammy, then, you have my sympathy. I apply to my damp skin after stepping out of the shower, the shower cream aroma is still present and this oil applied after adds to the whole relaxation experience, I find the oil has a heavier, warmer scent a French lavender sharpness to it. My skin glistens and the rich oil works easily into the skin, with the warmth of hands working the oil, the scent is amazing. There is always something comforting about a pot, a little pot promises comfort, Feather Down have the All Purpose Sleep Balm, using the essential, essential oils and vitamin E this is a pulse point must have. Perfect before bed but, also, if you do get anxious, worried, unsettled at any point, this applied to the temples, wrists and neck makes me settle and feel calmer. Feather & Down have plenty more to make sleep a dream, and their price point is excellent, you can find them here and also stocked in store and online at Boots.